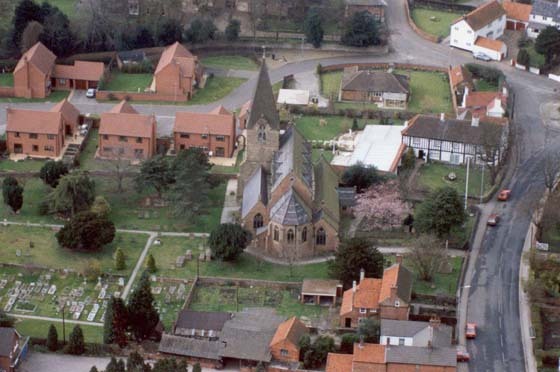 Farnsfield Local History Society exists to collect and publicise the history of Farnsfield. 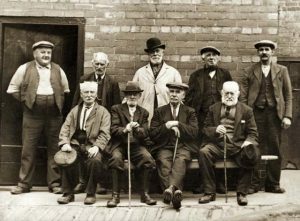 Our aim is to keep the history of Farnsfield alive by uploading images, archives and important information. We are keen to collate information both from the past and more contemporary issues of interest to historians of the future. 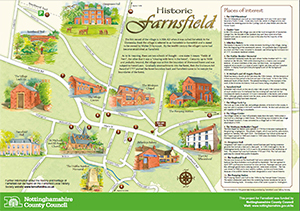 The FLHS are keen to upload information that relates to the background and origins of Farnsfield, if you have any queries, information or images that you would like to see on the site please use the ‘contact us’ page to send details to members of the committee. Farnsfield lies in central Nottinghamshire approximately 14 miles north-east of Nottingham, a mile or so to the east of the main A614 road linking Nottingham to Doncaster and the north of England. It is quite a large village with a population of approx 3000. The village lies in a predominantly farming area on the eastern edge of the (now much diminished) Nottinghamshire coalfield. There is no major industry or employer within Farnsfield and the majority of people of working age living in the village commute to work, mostly to Nottingham, Mansfield or Newark. Farnsfield is more fortunate than many villages of its type in that it contains two small supermarkets, a village bakery, a greengrocer and other small shops, post office, two churches (Anglican and Methodist), a largish primary and junior school, (a recent amalgamation of two smaller schools) and two public houses the third having been recently re-developed into a supermarket. The village is no longer served by a railway line. There used to be one. It was closed by Dr. Beeching in the 1960s. The old line now forms part of a bridleway known as the Southwell Trail lying as it does on the cross roads of routes through Nottinghamshire both east-west and north-south. The village has bus services to all the major towns in the county.